We’re inching closer to Christmas every day, and the team at Top Floor is really feeling the spirit. Involvement in the community is a very important part of our culture, and we were proud to participate in something that helps others. For the second year in a row, Top Floor partnered with Feeding America – an organization dedicated to getting nourishing food – from farmers, manufacturers, and retailers – to people in need. At the same time, they also seek to help the people they serve build a path to a brighter, food-secure future. 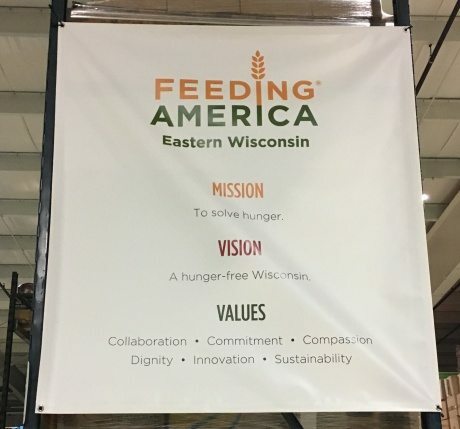 Feeding America Eastern WI helps feed over 400,000 people a year in 36 eastern WI counties. 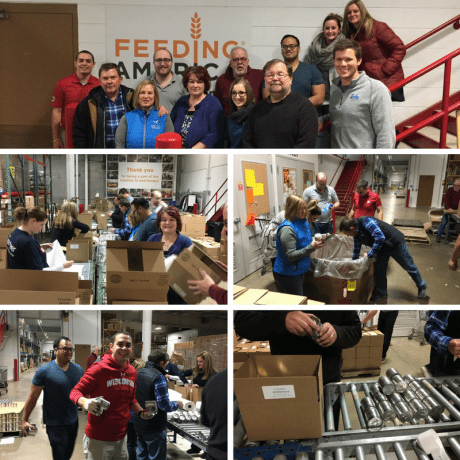 During our time at the facility, our group helped to sort and package just over 13,000 lbs of food – which will help to provide approximately 11,100 meals to people in need. We could not think of a better way to get into the holiday spirit, knowing so many will benefit from just a few hours of work from us. If you would like to learn more about how you can get involved, visit Feeding America’s website. They are always in need of volunteers to help and are truly appreciative. Is Tabbed Content Hurting Your Website’s SEO?